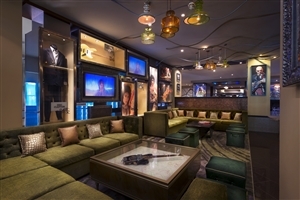 The Hard Rock brand has arrived in Cancun to offer its exhilirating Rock Star standards of service in a stunning Caribbean setting. 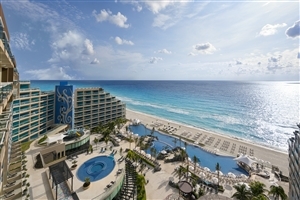 The ultimate celebrity playground, the all-inclusive Hard Rock Cancun impresses with its unique array of attractions, from the double Jacuzzis in each room, to the exclusive liquor dispensers, to the special touches for younger ‘rockers-in-training’ with games consoles, kid’s menus and smaller robes. 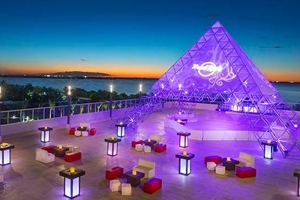 With its modern décor and glamorous ambience, Hard Rock Cancun is the ideal choice for those seeking a bit of fun and excitement with their Cancun holiday. 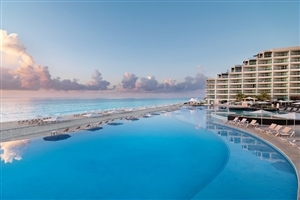 Up to $3600* Resort Credit available. 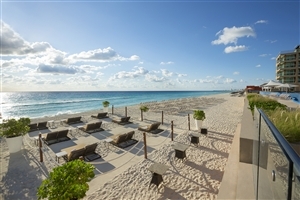 Call us now for details. 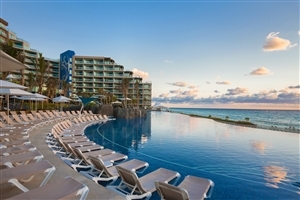 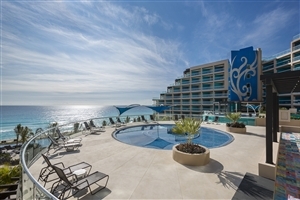 Treat your family to the holiday of a lifetime with a stay at Hard Rock Hotel Cancun, an expansive all-inclusive resort on Mexico’s impressive Cancun coastline. 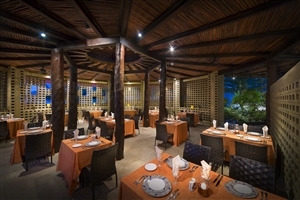 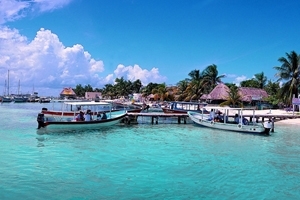 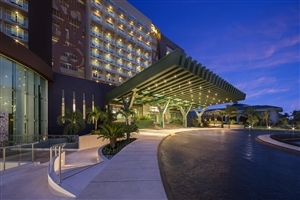 Ideally situated close to Cancun’s reputed ‘Hotel Zone’, Hard Rock Hotel Cancun is in a beautiful location between the Caribbean Sea and the Nichupte Lagoon. 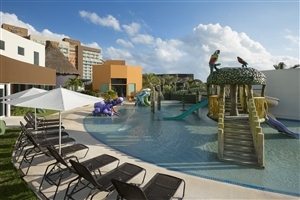 Whether you seek relaxation from the spa or on the Jack Nicklaus Signature golf course, or prefer something more active on the tennis court or diving to the depths of the Caribbean Sea, Hard Rock Hotel Cancun is certain to find favour with the whole family. 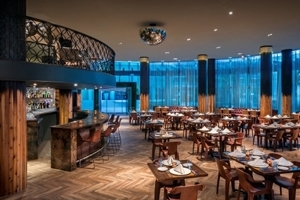 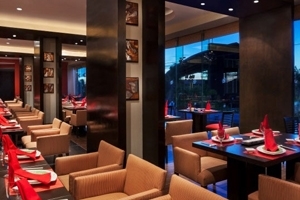 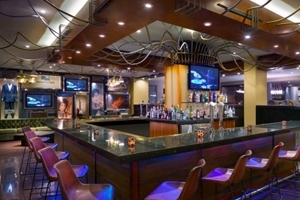 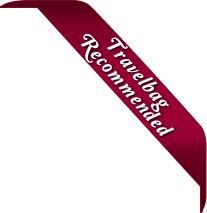 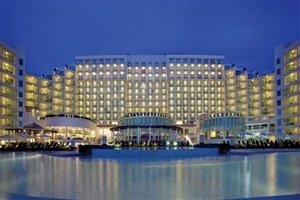 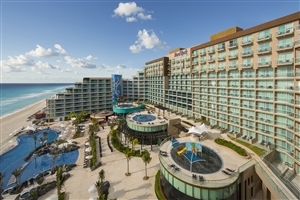 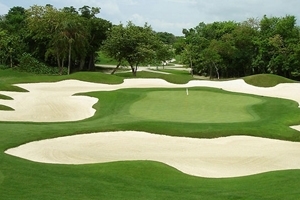 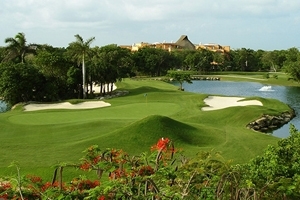 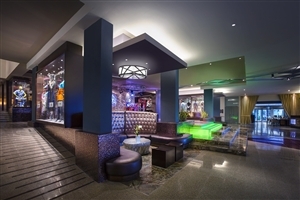 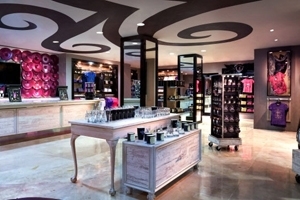 Hard Rock Hotel Cancun is just 25 minutes from Cancun International Airport. 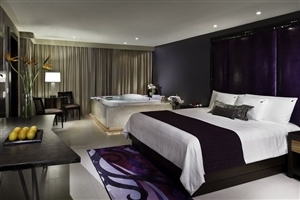 The Deluxe rooms at Hard Rock Cancun offer 40sqm of accommodation space and include a fabulous in-room Jacuzzi tub and a private balcony. 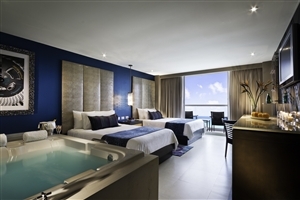 The Deluxe Gold rooms at Hard Rock Cancun offer 40sqm of accommodation space and include a fabulous in-room Jacuzzi, plus views across the calming lagoon. 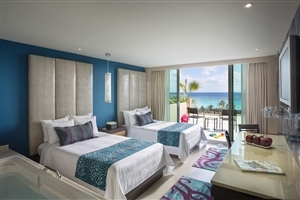 The Deluxe Platinum rooms at Hard Rock Cancun offer 40sqm of accommodation space and include a double Jacuzzi tub, plus a private balcony overlooking the Caribbean Sea. 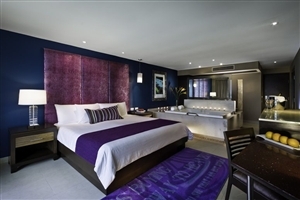 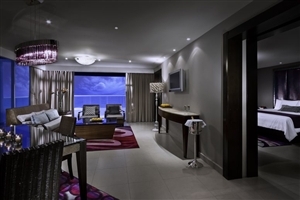 The Deluxe Diamond rooms at Hard Rock Cancun offer 40sqm of accommodation space and offer fabulous upgraded privileges, including a double Jacuzzi, two 25 minute massages at the spa, a complimentary beach bag, concierge service, a DVD/CD player, nightly petit fours and nightly turndown service. 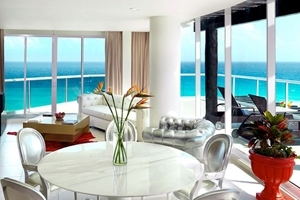 The Rock Suite Platinum offers 100sqm of accommodation space and comprises of a king-size bedroom and a second bedroom, a living room, a dining area and a private terrace overlooking the lagoon or ocean. 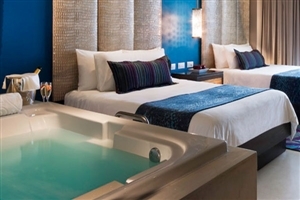 Features include premium liquor from the in-room dispenser, an iPod dock, exclusive restaurant and late-night pillow menu, Rock Spa amenities and 24 hour room service with a select menu from restaurant to create your own ‘Special Menu’. 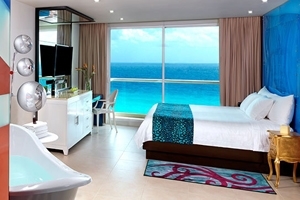 The Rock Star Suite at Hard Rock Cancun comprises of a king-size bedroom with a double Jacuzzi and a private ocean view terrace, plus a living room, private bar – stocked with premium brands. 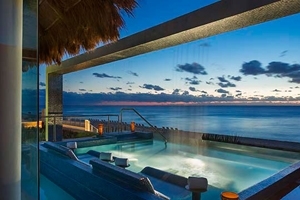 Upgrades amenities and services include two 25min massages at the Sunset Garden, nightly turndown service, exclusive concierge phone service and private check-in/out.